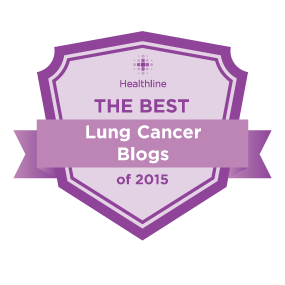 A Lil Lytnin' Strikes Lung Cancer: 100th Post! or Why Do I Blog? 100th Post! or Why Do I Blog? 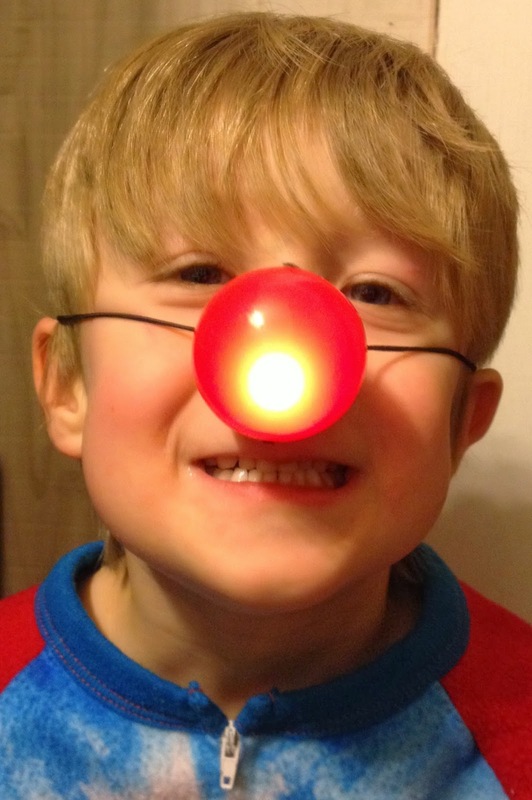 This is my 100th post to this blog! Who would have ever guessed, when I wrote that first entry of my travelogue, that I would end up here. My motivation has changed radically with each new chapter. In 2005, a free-spirited young woman set off traveling around the globe and used this space to document her adventures. Upon returning to the United States, she met her perfect match and got married in an idyllic beach wedding. A few years later, the two welcomed their first child into the world. This new mom wanted to capture each amazing moment of her little boy's development and share it with friends and family. Since parenting was such a joy, the couple decided to have another child, and were pleasantly shocked to discover that this new baby was, in fact, twins. The tale took a turn as the pregnancy met with complications that resulted in a month of hospital bed rest followed by a premature delivery of the beautiful baby girls. After a harrowing stay at the NICU, the family was finally reunited under one roof, and the adventures of parenting 3 under 3 began. And now, as you know, lung cancer. So, once again, my motivation for writing has changed. The first few cancer posts were a way to let friends and family know what was going on, and to avoid having to explain details over and over. While this remains a major focus, I now find more reasons to write. For me, reading blogs by people going down this strange path has been vitally important; I hope that I might provide that comfort for others. To my pleasant surprise, several of my blog posts have resonated with people on the other side of cancer. A friend who is an oncologist working with breast cancer patients asked if she could share my post, "An Exciting Time to Have Cancer" with her patients, as she felt I explained things in a concise, accurate, yet personal way that would mean a lot to them. My friend, Agi, who is an instructor in the biological engineering department at MIT, shared a few of my blog posts with her lab class to help them understand the human side of what they are studying. She also wanted to give them "the reality check of how insurance companies and pharma businesses intersect with the science." "[S]cientific discoveries don't translate into swift clinical action," she said, "it takes an educated, persistent, brave, and articulate patient -- especially with very recent findings." One of her students wrote to me, expressing how much reading my blog has helped to motivate him and make him realize "that some fairly meaningless name I'm studying, like ROS1, can be so life-changing for another person." "late night after late night, training to become the professors, scientists, engineers, and doctors that will one day dream, develop, test and prescribe the weapons that you go to war with every day. All of these professionals push past obstacles day to day in order to sharpen your swords and strengthen your shields, so that when you go to war, you will win." It inspires me to hear that kind of passion from the upcoming generation of scientists. I was honored to have this blog make Healthline's list of the Best Lung Cancer Blogs of 2013. I hope this will help people who are dealing with this disease to find the blog. In case you may have missed it, I was interviewed for a story in the Ann Arbor News. Journalist Katrease Stafford wrote a great article that covers events in my life both pre- and post-cancer. 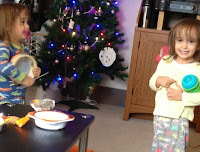 And while I am very happy to be making these new connections, there is one other very important reasons why I write. I write because there are conversations I may never get to have with my kids. One day they may read my words and I hope that will give them comfort. It is a way for them to know me, to understand how I view the world, and what I find important about how we travel through life. I want them to know how much they motivate me to be a stronger person. And I want them to know and understand that I love them more that I could ever explain, and I will love them for all eternity. Happy New Year to all! May 2014 be filled with laughter, love, and life! Keep up the good fight. Happy New year! Your words inspire more than you may realize. Happy New Year! Beautifully written, Tori. Happy New Year! Wonderful article, thank you Tori! 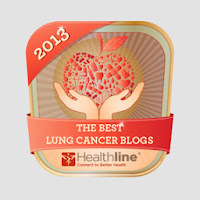 I love to share your blog at the American Lung Association, you are an inspiration to many. Thank you, Anne. Please share to your heart's content! Tricia, thank you so much for this beautiful message. It is so nice to hear that my story has meant something to you. I have read The Emperor of All Maladies and found it totally fascinating. Best of luck to you and your sister with your cancer journeys! I hope they remain uneventful.